When you unwell, and still need to wait for doctor with feeling tired, uncomfortable? NOW you are pre-book appointment with doctor before hand with GetDoc! GetDoc is not only available for normal feverish/flu doctor, but all the specialist from the apps/website. and aesthetic doctor for your beauty regime is available at GetDoc! you can choose your doctor's gender/insurance coverage/company panel clinic all by few clicks! GetDoc is a platform that allows users to search, select and make appointment with their nearby doctor using our mobile apps and website. Users can search for nearby clinics or hospitals, select the doctor they want to visit, and make an appointment with the doctor through GetDoc app, now they can reduce the time waiting and queuing in clinics. Users can share their appointment information with family members and friends, and can also schedule appointments on behalf of their loved ones. It’s all started from a true sad story. GetDoc was created because of Jerry’s (the founder of GetDoc Malaysia) father, who was diagnosed with colon cancer 2 years ago. He needed to suffer by dragging his sick body in getting doctors and waiting to get treatment. Google Playstore: http://bit.ly/GetDocPlayStore or Apple App Store http://bit.ly/GetDociOS. 2. Register through the app and fill in your User information (one-time only). 3. 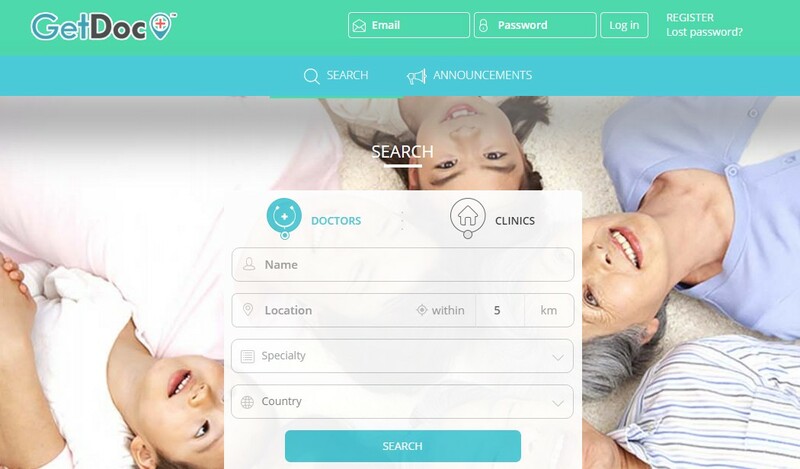 Search for doctor/clinic according to the preferred specialties, location and other filters. 4. Select a doctor that you would like to visit. 5. Make an appointment with the doctors by tapping on their available time slots in the application. 1. Time Saving - Less waiting time needed to get treated. 2. Convenience - Make an appointment with the doctor anytime, anywhere. 3. Stay Connected - Help your loved ones to make an appointment when they are sick and keep track on their follow-up appointments. GetDoc is an app that was built with love by the GetDoc team. Our mission is to enrich 100 million lives by delivering a better healthcare experience to everyone!